Great news - RampVR, one of our more recent projects, of the International Air Transport Association (IATA), has won the Technological Solutions category of International Airport Review’s 2017 awards programme. We’re incredibly proud of the work we, alongside IATA, have put in to create this engaging and effective training tool, and we’re pleased to see this receiving recognition within the international air transport industry. 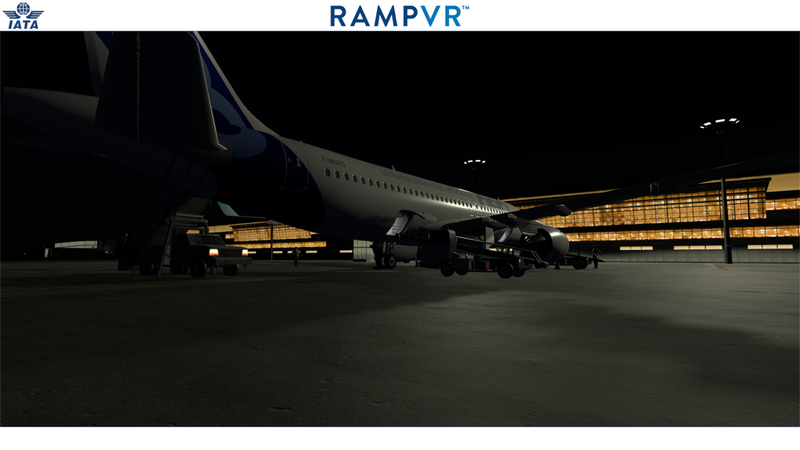 RampVR provides a virtual reality environment for training airport ground operations teams, testing various scenarios for air marshals and aircraft turnaround crew. By creating detailed, immersive and realistic environments that would otherwise only be experienced on the airport tarmac itself, IATA are able to expose their trainees to life-like experiences and test potential problems that would be almost impossible and prohibitively expensive to simulate on the ground. It fully complies with the standards of the Airport Handling Manual and the IATA Ground Operations Manual. Training, coaching and instruction is one of the best practical uses for VR, as this project shows. Training or testing ground ops teams on-the-job is expensive, stressful and dangerous. RampVR bypasses this in an effective way, that actually opens up more potential scenarios to trainees, helping to prepare them more efficiently by simulating different lighting and weather conditions at the airport, along with practicing on different types of aircraft. Performance metrics are provided to analyse efficiency and encourage improvement. RampVR delivers on two fronts; firstly it allows ground crew to be much better prepared and able to respond to high-risk safety scenarios, and secondly it helps reduce the $3 billion annual global cost of ground service equipment incidents involving aircraft. This is just one example of the almost limitless number of ways VR can be utilised for training. Want to find out how VR training technology could work for you and your company? Contact us and let’s chat. Cargo Airports & Airline Services: AR and VR: A New Reality for Air Cargo?